The studio uses the finest audio equipment available. 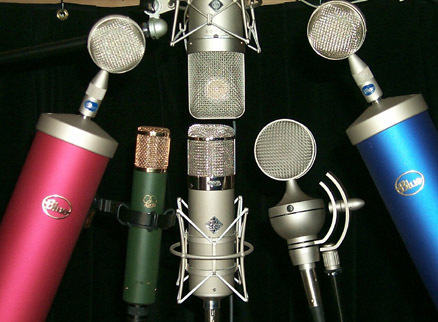 We are especially proud of our microphone collection, which is the largest in the region. All of our equipment is always in the highest possible working order including our vintage tube and ribbon microphones, some of which are over 60 years old! If you don�t see a piece of equipment you need for your session we can rent it through our many sources. Compressor Audio Technologies StereoTube Comp. Compressor Crane Song STC-8 Stereo Tube Comp. Compressor Manley Variable MU Stereo Tube Comp. Mic Preamp Audio Technologies StereoTube Pre. © 2000, Acoustic Barn Productions.